Enjoy fantastic views! Stay in one of our holiday apartments close to Plaza España and you’re only a few steps away from the viewpoints of Montjuic. The perfect location to see the Magic Mountain Fountain show. 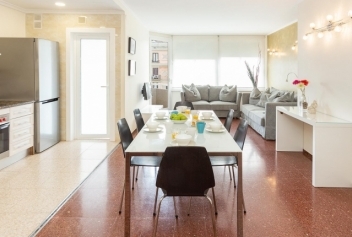 Furthermore our apartments are a short walk from the Fira de Barcelona which hosts major conferences in the city, such as the Mobile World Congress. 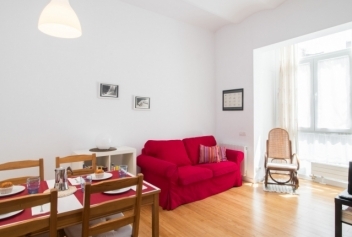 Situated on Avenida del Paralel, this Spacious appartment offers an interesting stay in Barcelona. With many wonderful restaurants, bars and theatres to choose from, all you will have to do is start exploring! 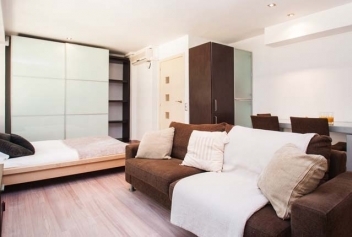 Elegant apartment furnished with quality furniture. Its 73 meters have been designed to provide maximum comfort to our guests. Enjoy, among other things, our gourmet kitchen. 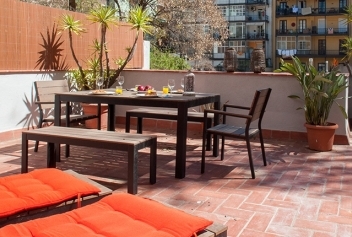 3 bedroom apartment for up to 7 people, has a furnished terrace where you can relax after visiting the city. 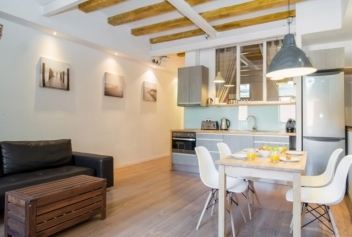 This cosy studio in Tarragona is located in an ideal place for those who want to explore the city in all its glory.